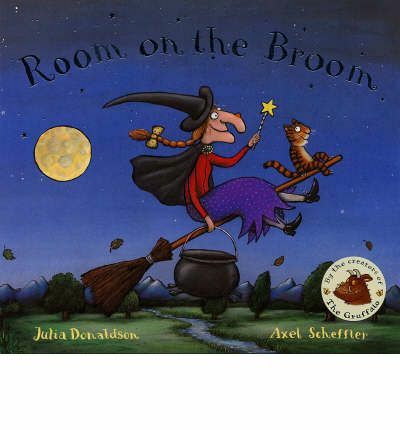 The witch and her cat start out on a journey on the broom. Along the way she loses a few things and gains some companions. This turns out to be a wonderful thing because when a dragon decides he wants the witch for tea her new friends come to the rescue in the strangest way. Another fun outing from the magical pairing of Donaldson and Scheffler. A fun rhyming tale and an entertaining story of helping and friendship. Originally published 10 years ago it is still full of appeal. You can’t really make a mistake picking up a book written by this pair. 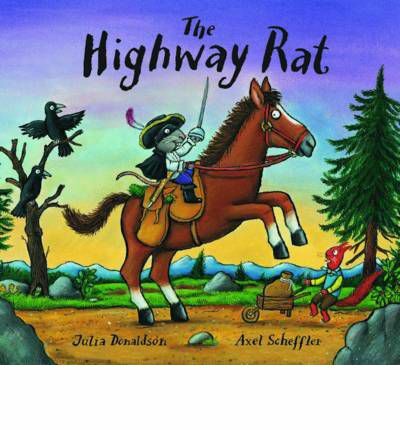 Beware if you are out on the highway for along the highway rides the Highway Rat. The Highway Rat loves to steal travelers food, it doesn’t matter what, he just wants it. Then, as is wont to happen to baddies like him, he comes across someone a bit smarter. You’ll have to read the book to find out what happens next. Okay I will say it, this is awesome. I didn’t read the author blurb on the back cover before reading the story and I was only a few stanzas in when I was transported back to a time I learnt a poem called ‘The Highwayman’ by Alfred Noyes. Donaldson says she was inspired by it and has kept true to its style – cadence and structure of the original. Of course the theme is is much more child friendly than the original, it is though a great take on the older poem. This version is filled with plenty of animals and silly goings on. As always Scheffler’s distinctive illustrations fit the text perfectly, they are as fun and appealing as the text. It could also be a good way to interest young readers in poetry, though perhaps stick with something more child friendly than Noyes (my father was fond of Banjo Patterson). 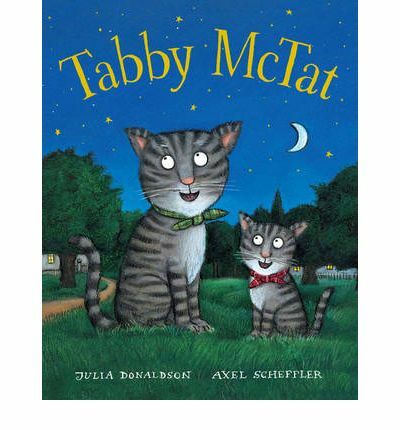 Tabby McTat has a miaow that is loud and strong so it is a good thing he is a buskers cat. Tabby and Fred sing together for their money. One day Tabby goes for a stroll and while he is away something happens to Fred, when Tabby gets back Fred isn’t there. He waits and waits and still no Fred. He is taken is by some humans but still searches for Fred. It seems the two of them may never sing together again. 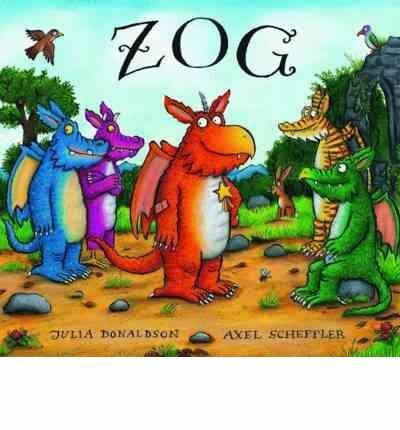 This is a cute little tale from the people who gave us The Gruffalo. The illustrations are wonderful and Scheffler’s distinctive style works so well with Donaldson’s storytelling. The text itself is simple yet well detailed and complex enough (while not being complicated in any way) to keep a kindy or preschool reader engaged. This is a great story about the power of friendship. This is a author/illustrator pairing that just works so well. While a little mouse was taking a little stroll through the woods, he comes face to face with a fox, an owl and a snake. 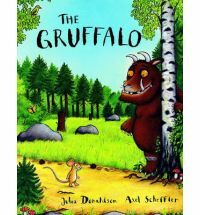 Mouse is clever though and is able to see a trick when it is in front of him so he invents the Gruffalo, a big, scary monster. What happens though when he finds out the Gruffalo is real and also wants to eat him? This is a charming story about a very smart little mouse. There is enough text to keep the kindy/pre-primary reader interested and the story is simple and entertaining enough for younger readers. The illustrations are detailed and fun, presenting the story in a wonderfully visual way. It is easy to see why this book is a perennial favourite.